I had the best shopping experience at Illamasqua in Glasgow yesterday. 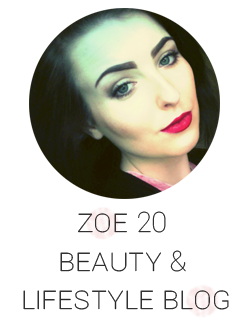 Not only was the girl at the counter extremely helpful but the makeup look she had was stunning - pale skin, thick lashes, bold defined brows and a pop of colour on the lips - love it! That's what I love about Illamasqua, it's so different from every other makeup brand. It makes you want to be creative with your look and try new things plus each time I have been to Illamasqua I've come out so excited to go home and try out my new products and been so inspired by the girls that work there. I was running out of foundation and I thought it was time I gave the Skin Base a go since i've heard so many good reviews about it. I prefer a medium coverage which can be builded to a full coverage which is what this product offers. The packaging is plastic with the classic illamasqua shape at the base of the lid (handy as it won't smash all over the floor if you drop it!). Don't be fooled by the size of the product, you just need a small amount of this foundation and it will do your entire face as I discovered today. I will do a later review on this product once I have tried it for a few weeks. Having such pale skin can be a problem when finding a powder to set your foundation. I have dry-very dry skin so powders tend to emphasise my dry patches so sometimes I don't even use a powder. However, this isn't ideal as my foundation tends to rub off if I touch my face. When I tried out this powder at the Illamasqua counter I was instantly impressed. I had the Skin Base on and the girl applied a light dusting of this product which just took the shine away but didn't cling to my dry patches - LOVE! I know you're thinking this is a scary colour and it is literally black. However, I have jet black hair so this is perfect for me. With a light hand this doesn't look severe at all, it just helps to define my brows a lot more and the colour matches my hair perfectly. I love this product, I just applied with an angled brush with a light hand and voila! Perfect brows. This product comes in many different shades so you are guaranteed to find one that matches your hair colour perfectly. I am a big fan of red lips, it's a daily part of my makeup routine and I just don't feel like my makeup is complete without a bold red lip. I will post a swatch in another post (don't know how I forgot to swatch it?!) but you can get an idea here of the kind of red I go for. It is very much a classic blue-red which is great as it makes your teeth appear whiter! I love the formula of this product as it feels creamy on the lips yet has a matte finish. A red lip is not a red lip without a great lip liner. I was looking for a classic red that I can use with my other lipsticks too. I used this today and the colour was a perfect match for the Maneater lipstick. It applies like a dream and is perfect for making your red lips last longer and keep their definition. Sometimes I don't even use a lipstick and I just apply a bit of lip balm and then apply the pencil colour all over my lip. Illamasqua have a great shade range of pencils and lipsticks - check them out! With Winter and the festive season coming up, how could I resist? These colours are perfect for this time of year! Being a lover of red lips, i'm just as obsessed with the classic red nails but it's quite nice to change it up a little sometimes and add a bit of sparkle to your accent nail. I love this combination and can't wait to apply the shade Throb to my nails tonight - I will post again with a more in depth review once I have tried these out a little more. I absolutely love the shades Jo'mina and Scarce so I'm sure these will be added to the pile of favourite nail polishes too! Every so often I go a little crazy for hair care products. Not that I need anymore - my bathroom cupboards are bulging at the seams with hair products! However, I don't generally use too many drugstore products as I had a period of hair loss when I was 17 so i'm very careful about what I use on my hair! I also have my hair dyed jet black so certain products with a lot of sulphates in them can lighten the black to brown. I have purchased this product countless times over the past few years. After shampooing you are supposed to scoop out some of this product, apply to your hair at the roots and leave on for 5 minutes. It is not a conditioner so you still have to do this after the treatment - I was a bit wary of this at first as I thought it would weigh down my hair with it being so fine but it didn't! I love this product, my hair always feels so soft after using it and definitely makes my hair feel a lot healthier. It also helps to reduce frizz for me. As for growth, I do think there is a slight increase in how much my hair grows from month to month. However, keep in mind that this product is not going to grow out a short bob down to your waist overnight - wouldn't that be great?! I love the smell of this product and I use it 1-2 times a week. You have to use it for a few weeks to start to see a difference in your hair. This product has changed my life. I'm not even kidding! I first bought this after I tried the Redken Extreme Anti Snap leave in treatment - which I also swear by! This product is for dry, damaged and distressed hair in need of some love. It contains protein which helps to repair and strengthen each individual strand of hair making it more manageable. I couldn't believe the difference after just one use of this product. You simply wash your hair then apply this product to towel dried hair and leave for 5-15 minutes depending on how much of a deep condition your hair needs. You can feel the difference immediately and the shine from your hair is amazing and makes your hair look so healthy. I absolutely swear by this product as the effects of one treatment don't wear off the next time you wash your hair like many other masks do. It really helps deal with dry and damaged hair and I would highly recommend this product - even if you have fine/thin hair like me. This is a leave in treatment with heat styling protective agent for dry to very dry hair. With Royal Jelly Extract this product contains proteins to nourish and protect the hair and give it a healthy shine whilst protecting it from damaging heat-styling tools. Since I've started using this product I have noticed my hair drys a lot easier and with a lot less flyaway hairs. All you need is a small sized amount of the product through the middle-ends of your hair and with it being the 150ml size I know this will last me a long time! It doesn't weigh down the hair like other leave-in treatments can, it just smoothes out the hair and gives you a more polished finish to your hair - whilst protecting it from hairdryers and straighteners! This is a great product and I will definitely be repurchasing. The first time I used this product I noticed a difference in the texture of my hair. Just a few sprays through my ends made them so soft and easy to blow-dry. My hair is prone to be very tangled when I come out the shower as I don't always use a conditioner in the shower. However, this seems to act as a de-tangler for me as well which is great! The smell is pleasant and it diffuses the product very finely and evenly through the hair. This product contains keratin and I really noticed that my hair was more manageable and smooth after styling. I love this product and it's affordable which is always a huge plus! I'm a big fan of the Soap & Glory range from their skincare to their makeup. I was in need of a new cleanser and I came across this one when I was browsing in Boots a few weeks ago. Usually my skin is quite dry so i'm hesitant about picking up new products on a whim that I haven't really researched in case it makes the situation worse! However, I picked it up and thought i'd give it a try. I usually take my makeup off at night with a cleansing oil or water and leave my "creamy" cleansers in the shower to use in the morning just to make sure I get it all off before applying moisturiser. Luckily i've been blessed with generally good skin and rarely suffer with spots, just those damn dry patches! This product is fantastic for removing makeup. It's creamy texture melts away all traces of makeup and doesn't leave the skin feeling stripped of moisture and tight - quite the opposite! It's also one of those cleansers that you don't have to apply and rinse off 10 times just to get your makeup off. My skin feels fresh, clean and my pores appear reduced around my nose. I love this product and I will definitely be recommending and repurchasing! The Soap & Glory packaging is striking yet simple, you can't miss that flare of pink on white when you're browsing through Boots, or the cool quirky names they come up with for each product. Their ranges are high quality and a favourite amongst countless beauty gurus and bloggers - trust me, if you try their products you'll see why! This 200ml bottle was just £8.00 but Boots are having a 1/3 off selected Soap & Glory skincare products at the moment so it's just £5.33 - bargain buy! Have you tried this product? Let me know your thoughts! If you're anything like me, the one beauty product I'm always changing is my mascara. I'm always on the hunt for one that doesn't dry up quickly or dry out my lashes - I must've gone through hundreds! However, this is the one I always come back to. The formula is enriched with silicone and natural wax which helps give added volume. All I require is one coat of this mascara and my lashes are nicely separated, long and thicker looking. If you are looking for voluminous, long and non-clumpy lashes this is a mascara worth trying. I have never been a fan of plastic wands which is another reason I love this product, I find plastic wants to be quite harsh on the eyes when applying mascara. The packaging of this product is simple yet sophisticated and to me it has that old-style, glamorous French look. This product retails at £7.99 which I think is excellent for a long-lasting, quality mascara. Unlike some mascaras that are difficult to remove at the end of the day, this product glides off easily with makeup remover and doesn't tug out half of your lashes in the process! Great product, great price. If you are in the market for a new mascara that does what it claims - try the Bourjois Volume Glamour range. I have been loving these Bourjois Colour Boost Lip Crayons - in particular the shade 01 Red Sunrise. Not only are they very moisturising (and waterproof!) but they are all SPF 15. I am a big fan of red lips but sometimes it's not always easy to get a mirror out, line your lips and apply your favourite red lipstick. That's what I love about this product, it is so easy to whip out your handbag and apply quickly without worrying if it's ended up all over your face! I'm not a big fan of lip gloss which is why I was glad I found this product as it's more of a shine than a gloss and gives a nice pop of colour. The texture is non sticky and glides on like a dream. The mirrored end of the stick allows you to push up more product - I have had this for 3 weeks now and worn it everyday and I still haven't had to twist for more product! The pigmentation is good and the product melts onto the lips leaving them feeling moisturised and hydrated. I would highly recommend this product. If you're looking to try something different on your lips but don't necessarily want to go for gloss - try this! The colour is buildable so you can be as bold as you want. I suppose the only thing I don't like about this product is that the writing on the packaging is wearing away the more I use it. However, I can overlook this as I'd argue that just shows it's well-loved, ha! You can find this product in Boots and they retail at £7.99. HEALTH & BEAUTY: THE CHIA CRAZE! So, what's chia and what's the big deal about? Chia seeds are abundant in protein, omega 3, fibre and essential vitamins and minerals. They are also gluten free. The protein found in Chia is a complete protein as it contains all 8 amino acids. Why do I need protein in my diet? Our skin, hair and nails is made up from mainly protein which isn't stored in the body. This means we have to eat enough in our diets. Chia has around 20% protein content. We also need protein in our diet for growth and repair of different tissues in the body. Athletes use chia to aid muscle repair. Fibre keeps our digestive systems working. 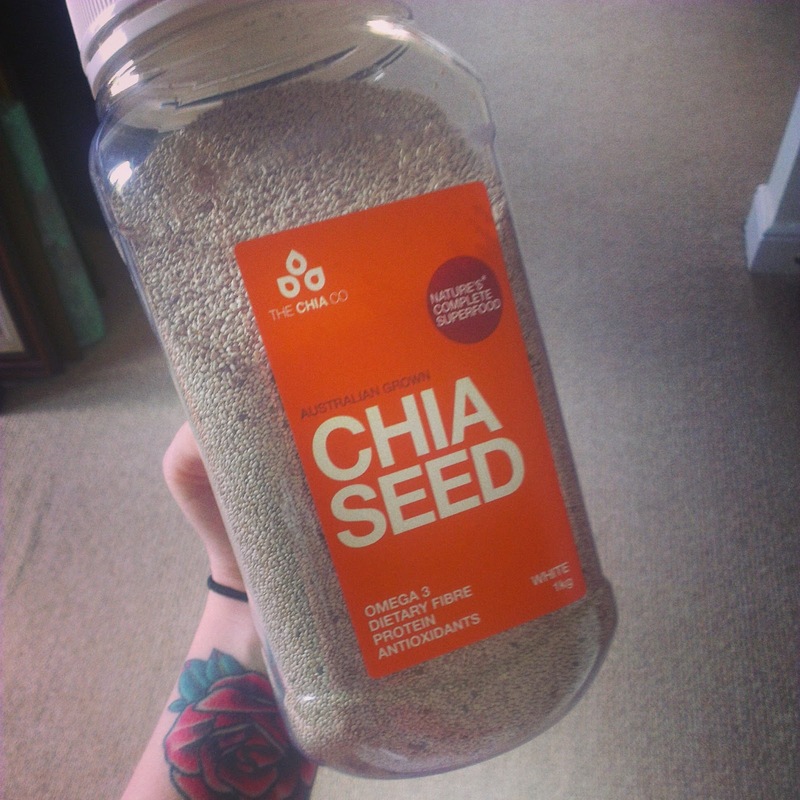 Chia has around a 36% fibre content with 80% being soluble versus 20% insoluble. It helps lower cholesterol, improve the health of your intestines and can reduce the risk of cancer of the colon. Why do I need Omega-3 in my diet? Chia seeds contain 20% omega-3 ALA. It is an essential fatty acid which is known to reduce the risk of heart disease and improve cardiovascular health. Omega-3 ALA is also thought to improve the condition of people suffering with depression. It also contains the following vitamins and minerals essential for a healthy diet: calcium, iron, magnesium, phosphorous and potassium. Where do I buy Chia? I purchased my chia seeds from The Chia Co, an Australian company with a commitment to sustainable farming. My order was delivered within a week and I couldn't wait to try them out! How do I incorporate chia into my diet? I have had about 15g of seeds each day since they arrived by adding them to things like smoothies, soups or just by soaking them in water and then eating them. I was pleasantly surprised that chia seeds don't have a strong taste which makes them easy to incorporate into many different meals. What more could you want from something so healthy?! Where did I hear about chia? I first heard about chia seeds from a friend after I told her I was keen to improve the health of my hair and nails. I am going to continue taking chia seeds everyday and my goal is to do so for 3 months and then make another post about any changes I have noticed whether it be my hair and nails or just general health. I highly recommend chia seeds, they are packed full of benefits and a great addition to your diet and overall health. I hope this post helped if you are thinking of trying chia seeds.